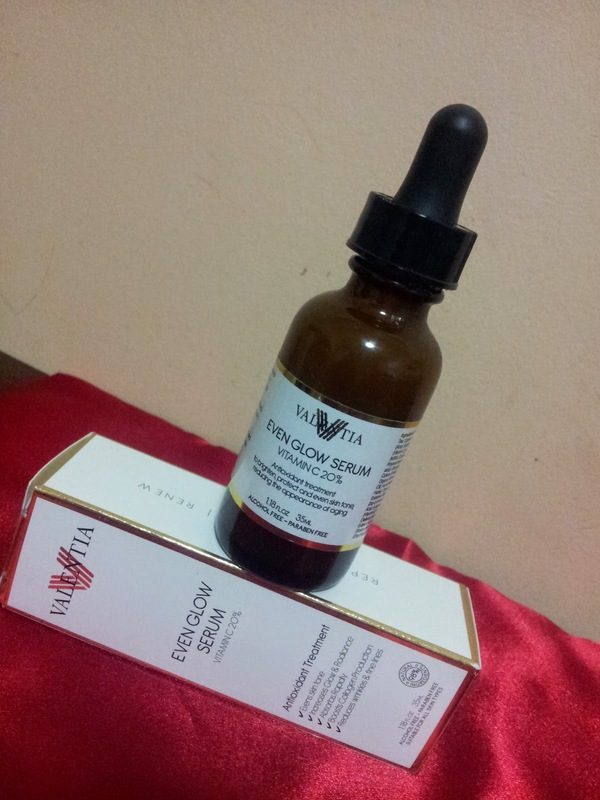 Recently Valentia Skincare contacted Everything Beauty and Beyond to review their Even Glow Serum. I have used vitamin C serums in the past, however never one that was so amazingly loaded like this. I normally ALWAYS read all ingredients and check them to make sure they are safe for the skin. For example, I would never use a product that contain witch hazel because that will dry out your skin and has no real added proprieties for the face. However Valentina Skincare had an amazing list of ingredients (listed below) which really blew my socks off. When it comes to vitamin C serum there a few things I look for. First, it MUST come in a dark bottle with a droplet. Vitamin C is an antioxidant which breaks up with air and light. Therefore vitamin C can never come in cream form because by the time you get it, everything in the cream has expired due to exposure to the elements. Second, it must have a minimum of 3-10% vitamin C. Anything lower than that is a joke and not worth your time. If you want to read more on what to look for in a vitamin C serum then click here for my blog post review from the past. 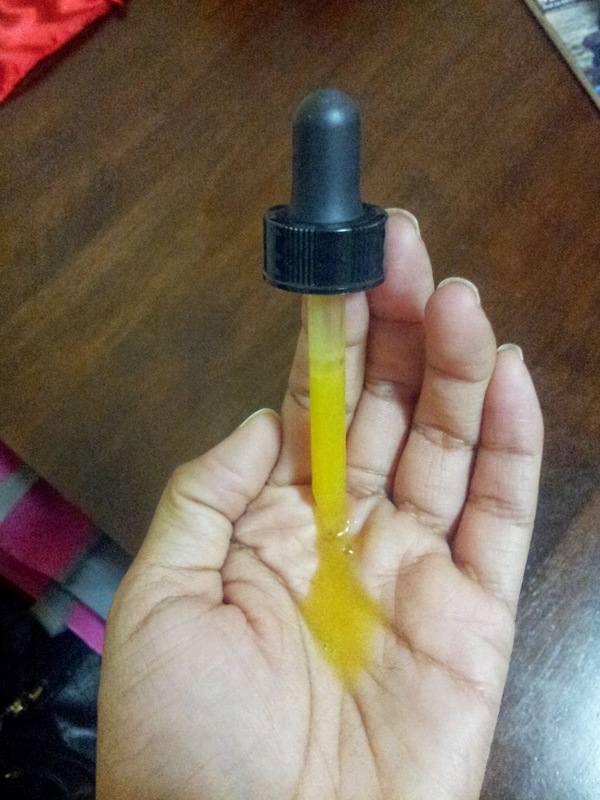 This Vitamin C serum is amazing for brightening (not whitening) your skin. Getting rid of dark spots from old acne and scars and helping to avoid free radical cell damage to name a few. Since Vitamin C is normally a serum and not an oil, therefore it doesn't feel greasy on your face or leave behind a sticky or nasty film. It glides on smoothly and absorbs quickly. Normally vitamin C serum comes as a clear liquid so it was surprising to see this one look like orange juice. It takes about 30-60 days to see major results, however in the first two weeks results were noticeable in the dark spots area where they got lighter. Now I have normal to combination skin. After reading many amazon reviews on this product, I realized a lot of people had questions on how this would affect oily and acne prone skin. So I decided to call up my partner in crime (my sister) and asked her to help review this product on her oily skin as well and let me know what the results were for her. Since she has oily and acne prone skin, I thought getting a second opinion might be helpful for other reads out there with the same issue who are interested in vitamin C but just not sure if it would work with their skin condition. Before using the Even Glow Serum I had never heard of Vitamin C serums before so I was interested in trying it out. Valentia's product is 98% natural so if you're really into using natural or mostly natural only products, you should consider looking up Valentia Skincare. The Even Glow Serum comes in a 1.18 fl. oz. (35ml) dark bottle with a dropper. The liquid itself is the color of orange juice. I was almost tempted to drink it for breakfast. The packaging itself contains a good amount of information. I used the Even Glow Serum twice per day, first thing in the morning and at night before bed. I washed my face first before applying the serum both morning and night. I also applied it to my neck. The serum dries and is absorbed into the skin very quickly. It should be applied first before moisturizer or any other facial products. After the serum dried I then applied my moisturizer with SPF. I have very oily, porous skin that is prone to breakouts and was weary of trying an oil based product. I used the product for almost two weeks. During the day I noticed my skin looked a little shinier after a few hours. I have a few dark blemishes near my jaw line that I was hoping the serum would lighten. It did lighten the blemishes a little, but not as much as I was hoping it would. My skin does feel a little more refreshed than usual and I plan on continuing to use the product every night before with the hopes that it will lighten my blemishes a little more. If you're in the market for a Vitamin C serum, I'd recommend giving this one a try. These oils promote skin hydration and lock in moisture to protect your skin from signs of aging and improve its beauty and youthfulness. Rosehip Oil has specifically been used in medical communities around the world for those with serious skin aliments and only recently has North America learned to embrace natural alternatives from our ancestors. These 2 organic oils are full of antioxidants, therefore, acting as the perfect supporting cast for our best friend - Vitamin C.
This provides the perfect mix of protection from stress-related aging and promotes skin detoxification. Resistem will help your skin regenerate faster while protecting it from environmental stressors. Holding up to 1000 times its weight in water and drawing moisture out of the environment and onto the surface of your skin, there is not a more effective moisturizing agent on the market today. It penetrates deeply and activates collagen production for a fresher, younger, firmer, and brighter complexion. The catechins in green tea are a potent antioxidant which also contribute to the overall anti-inflammatory and anti-irritant benefits of this ancient health and beauty secret. 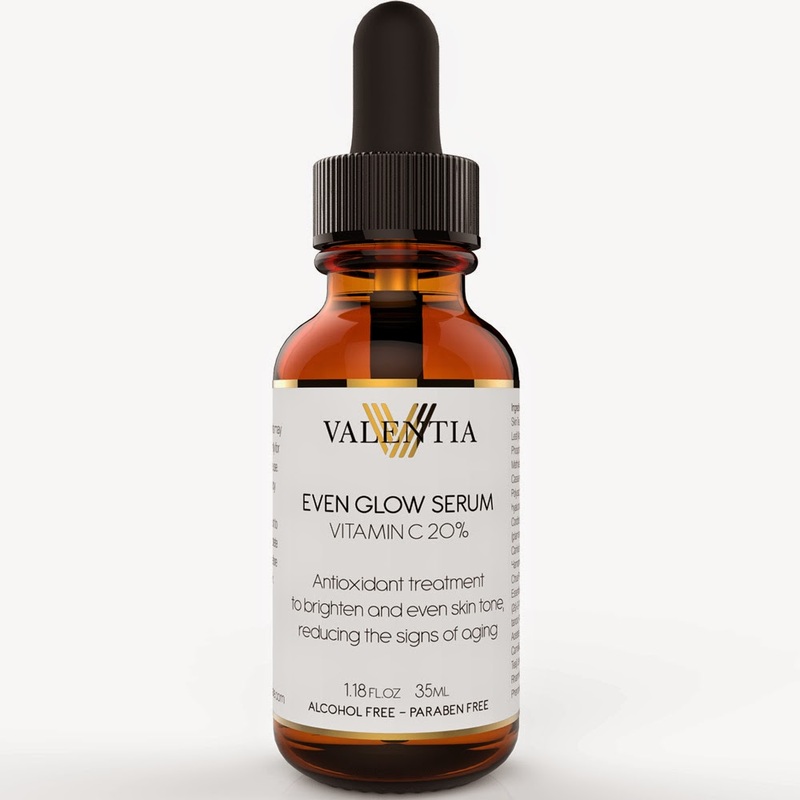 "Because Valentia's Even Glow Serum is made of natural ingredients, though unlikely, it may start to separate as we refuse to use chemicals to bind together our ingredients. For optimal results, turn over the bottle and shake lightly for 1-2 seconds. Apply a small amount of the serum to your clean (and dry) face and neck daily. Allow the serum to dry before applying moisturizer and makeup. Some customers choose to use their Even Glow Serum in the morning, evening, or both. We recommend you experiment with what is ideal for your individual lifestyle." Wow - this looks really interesting! I'll have to check it out! 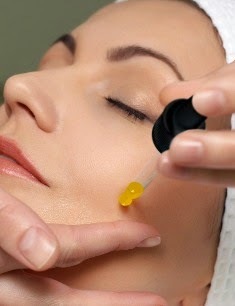 You would like vitamin C then as it works great with mature skin!